As one of the top fashion cities in the world, Paris is certainly no let down when it comes to food! It is one of the most foodie-friendly capitals in the world. Almost everywhere you turn seems like there is a Michelin starred joint with a wonderful bakery nearby. It is impossible to eat everything on our list as it is just endless! These are some of our food highlights that we enjoyed during our short trip to the city of lights. Modern Paris has managed to fuse and embrace both its traditions and international cuisines together into a gastronomic affair. Just a stone’s throw away from our Airbnb (literally 5 minutes walk), Blue Valentine is run by a Japanese chef, not only does the food taste amazing, the plating looks like a piece of art! 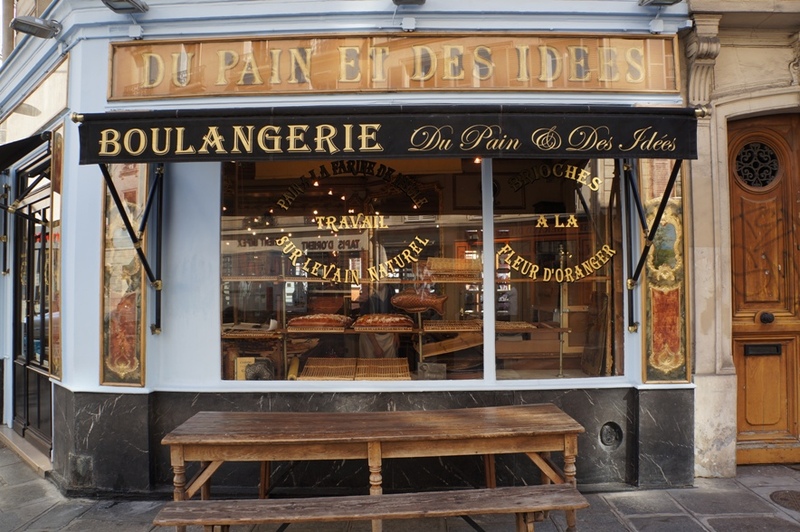 It would be an absolute shame if you did not stop by this amazing bakery. It was well worth the walk (15 minutes from our Airbnb) in the morning for some freshly baked chocolate brioches, pistachio escargots and croissants. We are definitely coming back for more amazing pastries. It was so nice, we even brought a few bags home (Yes it survived the 13 hour flight, just pop them in the oven)! As the name suggests, yes, you will find a variety of escargot dishes here along with many other French classics! It has an old-world interior décor that has characteristic and romance. Escargot in truffle butter is a must-try! We stumbled upon this cafe for breakfast after spending some time at the Jardin du Palais Royal. Although it is a little on the expensive side, everything is organic and natural. There’s a selection of warm tea concoctions and delicious French croissant. This cute little elegant bistro is a reasonably priced place with a nice wine selection. A hidden gem that takes a creative spin on the traditional French fare, offering in either small plates or full-size portions. Paris is such a beautiful city with much to eat and plenty to see. We certainly had an amazing time hunting for these restaurants and bakeries to fulfill our stomachs. Do share with us some of your favourite restaurants so we could visit the next time we are in the city!